I have to test out my new GA account on my local machine. Will this work just by copying the standard snippet supplied by Google onto the page ? I don't want to spend 24 hours waiting to see if it will or won't work. This question remains valid today, however the technology has changed. The old Urchin tracker is deprecated and obsolete. The new asynchronous Google Analytics tracking code uses slightly different code to achieve the same results. Google analytics will then fire off the _utm.gif tracker request on localhost. You can verify this by opening the developer tools in your favorite browser and watching the network requests during page load. If it is working you will see a request for _utm.gif in the network requests list. Google released a new version of analytics called "Universal Analytics" (late 2012 or early 2013). As I write, this the program is still in BETA so the above code is still recommended for most users with existing installations of Google Analytics. Check out the linked documentation for more details on advanced configuration of Universal Analytics. Both Global Site Tag - gtag.js and Universal Analytics - analytics.js will detect localhost automatically. You do not need to make any change to the configuration. If gtag.js detects that you're running a server locally (e.g. localhost), it automatically sets the cookie_domain to 'none'. This can now be achieved by simply setting the domain to none. Then I went to address http://my.domain.org/WebApp that is serving page with included google analytics JS. If you are on unix, edit /etc/hosts for same result. It think that Google should put Intranet configuration in ther GA FAQ. They just say that you need FQDA. Yes, you do, but not for them to access you, you need it just to have Host attribute in HTTP request. I think another reason for FQDN is COOKIES! Cookies are used to track data and if you don't have FQDN, cookie can not be set, and JS code stops and doesn't get the gif. Now the answer for your question is yes, it will just work by copying the standard snippet. According to documentation, now the standard snippet has automatic cookie domain configuration: ga('create', 'UA-XXXXX-Y', 'auto'); where cookie domain is automatically determined. In addition, if analytics.js detects that you're running a server locally (e.g. localhost) it automatically sets the cookieDomain to 'none'. The best practice is to setup two separate properties for your development/staging, and your production servers. You do not want to pollute your Analytics data with test, and setting up filters is not pleasant if you are forced to do that. That being said, Google Analytics now has real time tracking, and if you want to track Campaigns or Transactions, the lag is around 1 minute until the data is shown on the page, as long as you select the current day. For example, you create Site and Site Test, and each one ha UA-XXXX-Y code. You can have this setup until you learn the ins and outs of GA, and then remove it, or keep it if you need to make constant changes (which you will test on development/staging first). Source: personal experience, various articles. An easier tool to monitor the tracking tags is to use the Chrome extension (probably available, or the equivalent for other browsers) - Google Tag Assistant. This will show what tags are firing, what problems it has found, and even breaks out stuff like eCommerce values for easy reading. Also works with the Google Tag Manager, and can handle multiple sets of tags on the page. Paste your snippet (unaltered, in its entirety) into every web page you want to track. Paste it immediately before the closing </head> tag. here is more info on how to check to see if analytics works properly. Automatic cookie domain configuration sets the _ga cookie on the highest level domain it can. For example, if your website address is blog.example.co.uk, analytics.js will set the cookie domain to .example.co.uk. In addition, if analytics.js detects that you're running a server locally (e.g. localhost) it automatically sets the cookieDomain to 'none'. I came across this problem recently, and I found it helpful to explore the new documentation by Google on debugging Analytics. 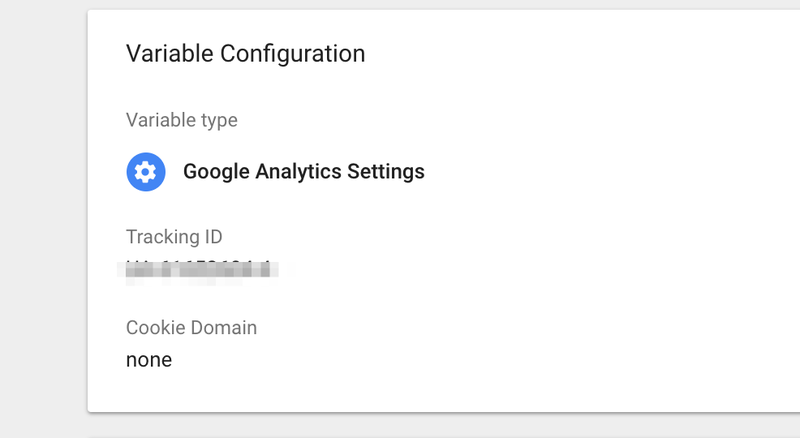 It didn't actually care about sending tracking info to Google Analytics, I just wanted to ensure that the events were firing correctly, and the debugging tools gave me the info I needed. YMMV, I realize doesn't exactly answer the question. Not the answer you're looking for? Browse other questions tagged google-analytics localhost or ask your own question. How can I ignore ga() event tracking code throughout my site when I remove google analytics in localhost? How to test Google Analytics Content Experiments without waiting a few hours? How to correctly use google analytics measurement protocol?